For inquisitive souls interested in the history of civilisations reflective of diverse cultures both ancient and modern, stunning landscapes, iconic architecture, music and art styles, all intertwined with exotic tastes and sounds reflective of the crossroads of Europe and Asia, this 20 night CruiseAlong itinerary departing Istanbul to explore the Black Sea and Aegean islands en-route to Athens, will prove irresistible. "This meeting point of Eastern and Western civilisations - the intersection between Europe, the Caucasus and Asia Minor, the Black Sea region and Aegean - boasts a rich natural and cultural heritage, combining charming seaside resorts, small ports featuring Byzantine architecture, ancient Ottoman cities, and vestiges of the Greek and Roman empires. This is how history should be learnt," comments Lance Mumby, the 'Travel Navigator' behind long-established specialist small group travel company, CruiseAlong. “Add another layer to this stimulating cruise by travelling on one of the world’s latest ships, Ponant’s recently-launched small ship Le Bougainville. Enjoy luxurious surroundings, fine wines and French cuisine, fascinating lectures and shore excursions, and receive attentive service akin to cruising on a private yacht. This immersive 20-night voyage, featuring so many fascinating destinations visiting places that in many instances receive a mere trickle of tourists beyond Eastern Europeans, has the hallmarks of an unmissable experience…… "
"This cruise, where luxury merges with adventure, is full of fresh experiences, not predictable commodities - so much so that I have signed on for the voyage myself!” continued Lance. 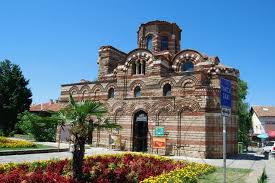 Explore the city of Nessebar, in Bulgaria. The architecture of this city established over 3,000 years ago is extremely rich, inherited from the Greek, Roman, Byzantine and Ottoman civilisations that succeeded one another here. In eastern Romania, stop in Sulina, a small, charming city located at the heart of the Danube Delta. Declared a Biosphere Reserve by UNESCO, this fantastic natural site is home to exceptional birdlife. In Ukraine, the famous Odessa steps, immortalised in Eisenstein’s 1925 silent film Battleship Potemkin, await you, as well as the magnificent baroque Opera House - appropriately located at 1 Tchaikovsky Street! In the north-east of Turkey, built by Greek Orthodox monks in 386AD, discover the ancient monastery of Sumela, perched precipitously on a mountainside. In Bodrum, the imposing Crusader castle built in the 1400s (now also home to a fascinating modern underwater archeological museum) overlooks the elegant seaside resort town sometimes known as “the Turkish Saint-Tropez”. Nearby, be sure not to miss one of the “Seven Wonders of the Ancient World", the Mausoleum at Halicarnassus. Discover the Greek islands of the Cyclades and the Dodecanese including the volcanic island of Lemnos, near the Dardanelles Strait. See why this green and lush island has become one of Greece’s favoured seaside retreats. After visiting Syros, a cosmopolitan island with a rich history, you will have the opportunity to visit the UNESCO World Heritage Monastery of Saint John the Theologian and the Cave of the Apocalypse on the Island of Patmos. Then on to Symi, covered with vines, olive trees and cypress trees, this island is one of the most beautiful in the Dodecanese archipelago.